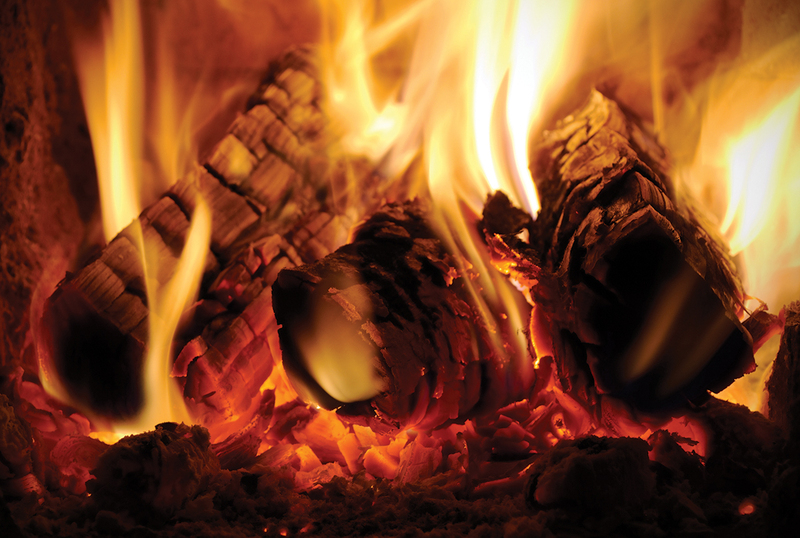 Avoid burning all firewood straight from an outside store as the logs will have some surface moisture present. An easy fix is to bring logs into the house in the morning, so they are ready to burn that evening. Air for combustion should be supplied from above a wood fire, not below. As much as 40% of the heat from burning wood comes from secondary combustion and this is severely hampered by air entering the fire box from below the fuel. Wood should be burnt with a lively flame and you should refuel when this is burnt to a bed of hot embers. For sparkling clear glass, try dipping a damp cloth into wood ash and use this to remove any marks on the inside of the door glass. Never burn anything other than seasoned wood or smokeless fuel in your stove.